Join us at our Rowlett’s Creek Preserve in Sumatra, Florida for our first annual Open House and Membership Drive! Come out for a free day of fun and celebration and learn all about our research, education, and land conservation efforts. We will have guided taxa tours running throughout the day – join local experts for walking tours that document species in various taxa such as butterflies, birds, amphibians & reptiles, and flowering plants. We will also have a silent auction, raffles for new (and recent) members, kids activities, food, and entertainment. Rowlett’s Creek Preserve is a little over an hour from Tallahassee and well worth the drive. 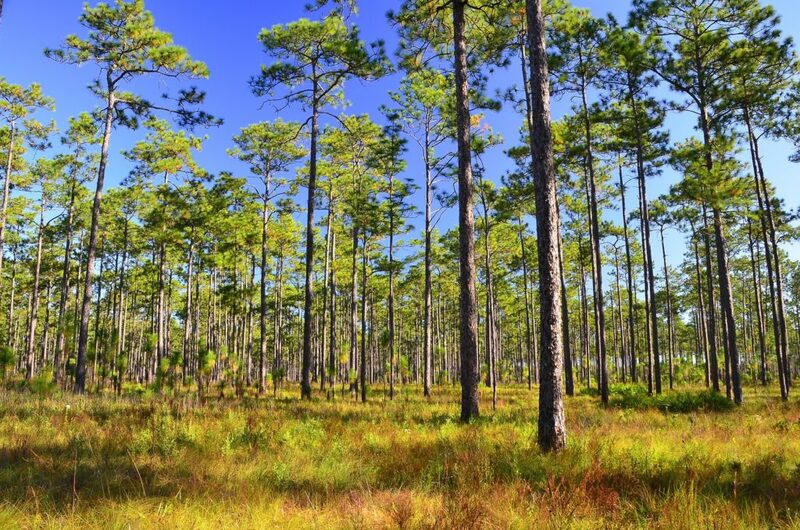 Our 80-acre preserve is embedded within the Apalachicola National Forest. Come out and see how we are restoring this former slash pine plantation back to a longleaf pine forest…and how we are recovering from the hurricane. RSVP Requested by April 5th. Click here to RSVP. Rowlett’s Creek Preserve is a ‘primitive site’ with no facilities, electricity, trails, or potable running water. We will have a small portable potty and a screened tent comfort station. Shuttle service runs from 9:30 am – 12:00 pm and then again from 3:00 pm – 5:00 pm. If you miss the shuttle, don’t worry you can walk in (the details are below). The walk in is only about a mile. Please bring a refillable water bottle. To reduce our impact, we will not be providing bottled water but will have containers from which to refill water bottles. Also, feel free to bring your own beer/wine. We will have a few chairs and blankets available for sitting but if you like to sit, consider bringing a camp chair. Biting insects – there might be mosquitoes and such so you might want to wear long sleeves and light colored clothing. Park at the bridge and wait for the shuttle. If you arrive after 12 pm, or you are feeling energetic because it is a beautiful day, you can walk in using the track that is directly across the road from the parking area at Rowlett’s Creek. This track will lead you past two open gates. Once you pass the 2nd open gate, you will be on the property of Bruce Means (our founder and President emeritus) and Kathy Steinheimer. Continue along the track to the Coastal Plains Institute sign. The walk in is about 1 mile. Black arrows show where to park – either at the bridge or along the sides of the road. 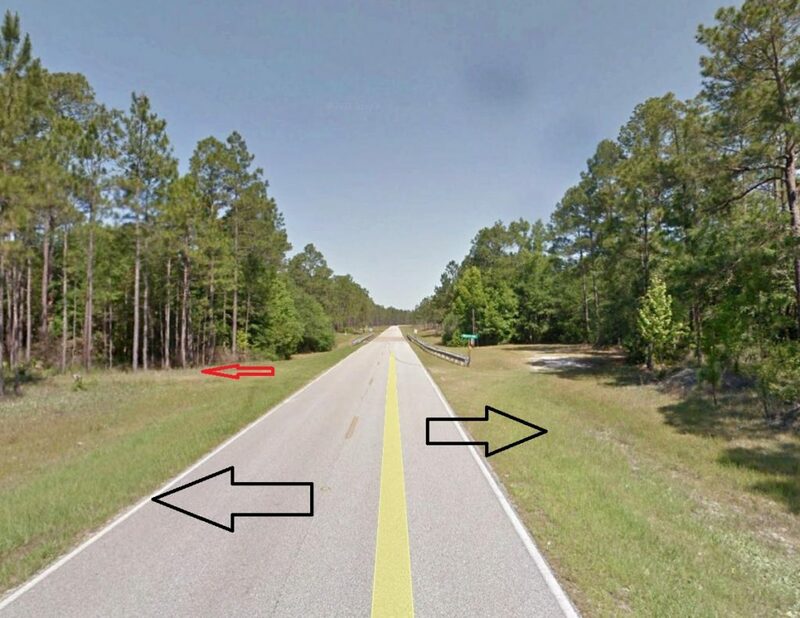 Red arrow shows the track into the property.